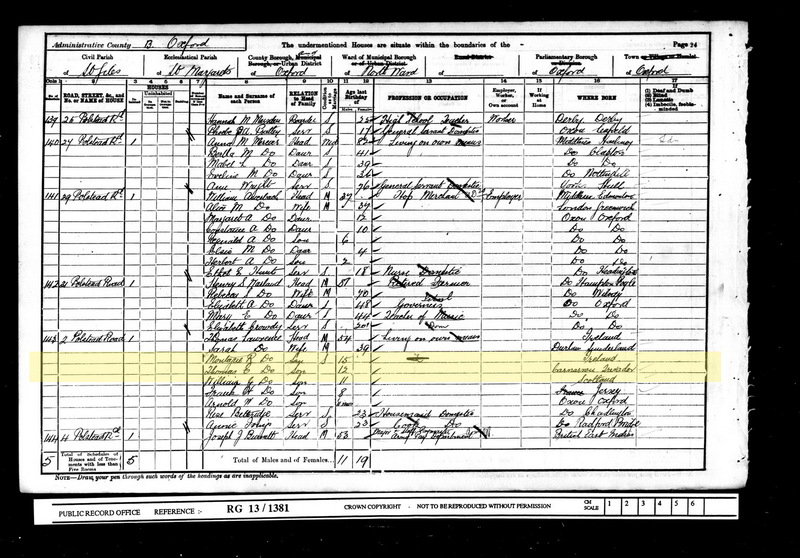 The 1901 Census for England & Wales was taken on March 31, 1901 and the following information was requested. 1901 Census Returns for England and Wales Kew, Richmond, Surrey TW9 4DU, England: The National Archives of the UK (TNA). Public Record Office (PRO). The information is derived as follows - Images have been digitised and then transcribed. The Images have been digitised from information held at the National Archives, Kew, Surrey, England. 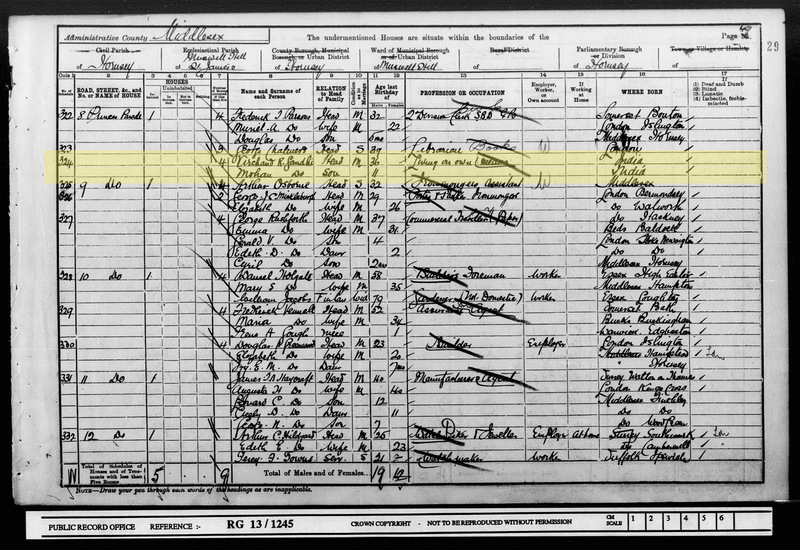 By the age of 12 Charles Chaplin was already working in what he loved Mohandas Gandhi is recorded in the 1901 Census living in London Thomas Lawrence or better know as Lawrence of Arabia is listed. Age - In 1841 it was rounded down to the nearest 5 years i.e. 38 became 35. From the 1851 Census onwards it is relatively accurate - depending on the honesty of the person giving the age. Where born - the 1841 is simply within the County or Scotland, Ireland or Foreign parts. Thereafter it progressively became more informative and in many cases could give a Town and County or if abroad the Country of Origin.